This week, I want to take a break from detailing the weeks recap on marijuana stocks. While the sector has been beaten down, sector investors largely realize that the SEC‘s attack on the sector leaders leaves many questions as to the true motives of the actions. And while these trials have taken a severe toll on the sector for now, I believe there are catalysts in the pipeline that will make it difficult to keep the best MJ-related aspiring companies down for very long. While I will continue to invest in the companies that are laying the groundwork necessary to capitalize on the coming changes in marijuana laws, the U.S. government continues at a snail’s pace towards ending marijuana prohibition. Quite simply, the unison of the will of the people and the illegality of marijuana is out of sync. Now I could spend my time here providing pages upon pages of resources and links to support my case, and that may be a future project. But today I feel like just putting my feelings out there to share with you, as a somewhat disgusted American citizen. The drug war and associated fear campaign that has been continued against this plant for decades has cost millions of people their freedom and ruined many lives. And now, while it is becoming more recognized that derivatives of the cannabis plant may have major medical efficacy in many realms of human health, actors within our government continue to drag their feet or stand in the way of rescheduling the plant so it can be further researched in the effort to improve people’s lives. What makes this all particularly troubling is that many people do not fully realize realize the ridiculous hypocrisy that exists in the continuance of marijuana as a schedule 1 drug preventing its medical study. The U.S. government Department of Health and Human Services HOLDS A PATENT on the medicinal qualities of MJ derivatives. WOW, that’s great, right? Well, while it seems to be an open and closed case that MJ can no longer be a schedule 1 drug, when by definition, a schedule 1 drug has NO medicinal properties. But over 13 years have passed since they filed the patent and the hypocrisy of MJ as schedule 1 classified drug still stands. The government has held this patent since 2001, and almost nothing has been done to rectify the situation. It is a bad joke that continues on year after year, diminishing respect for the government among Americans with knowledge of the long standing hypocrisy. The fact that marijuana remains a schedule 1 drug in the face of so much available information on the medical efficacy of combined with an actual U.S. held patent confirming such, leaves me a disgusted American. There are just too many people suffering wrongful imprisonment, and too many others being forced to consider more harmful, costly, side-effect ridden drug treatments as a result of this hypocrisy. While I remain ashamed of our government’s pace on MJ reform, I am hopeful that progress will continue on allowing the research to unfold concerning what very well could be new found keys to human health contained in Earth’s naturally occurring cannabis plant. ‘The Union’, a film created in 2007 is in my opinion, one of the most highly informative documentaries which explains the history and legal context of marijuana in the United States. While seven years old, there are a few outdated aspects, such as Canada’s MMJ progress not being covered, but not enough so to disregard this exceptional resource. If you have not seen this film, it is free at the link below, and I highly encourage you to watch it. Got a couple hours to expand your mind? You won’t be sorry that you did. Stock market investments are an old and practiced by masses. Every investment is precarious, but investment in penny stocks (trading under $2.50) is much more risky as movement in these stocks is more volatile than A-grade or blue chip stocks. They are not only prone to stock market crashes, and can even crash due to non-performance of business. It is also true that majority of the penny stocks are worthless or are complete failures because of many reasons like their small size and poor management, lack of funds for expansion and more importantly lack of big investor’s interest. Hence, it is the need for investors to analyze these stocks before making your hard earned money invested in it. Alternatively, many people find it more fruitful investing in penny stocks as favorable investment can multiply your returns. It is nearly impossible to get similar returns in A-grade/ blue chip stocks, as these small companies are growing in terms of their business and can give healthy percentage growth based on low base effect compared to big companies which are already matured in terms of business and can give only average growth in business. The stock price of prosperous company which has given favorable business growth over past three to four years can tend to increase by 80%, 150% or even by 200% to 350% within very short span of time. The researchers need to make full analysis on the stocks before making the right choice. So, on an average, your stock selection must be intelligent enough to choose that single profitable penny stock out of 100 available stocks. Any wrong selection among can ruin your whole investment. Proper analysis on company’s profile, select penny stocks wisely balance sheet and its future business prospects can help you choosing the right stock for you. Read more about selecting penny stock wisely. 1) Websites: Not only company’s website, but also other websites related to stock market can be referred to get complete information about its business, financials or even its stock price performance in past. 2) Newsletters and Forums: There are various newsletters issued by websites and online penny stock forums can also be good source of collecting information. Make sure that you’ve included your email ID on a reliable website to avoid any issues. It is important to know that there are many fraud websites floating the false news about certain stocks to gain money. Investors should know the difference between right and wrong companies and make sure that they don’t get trapped with wrong companies for investment. 3) Customers Reviews: Reviews posted by customers about product, financials of company product and reviews can also be a good judgmental factor for any investor for selection of right stocks. To summarize, Penny stocks are very risky trades but can be a positive changers for you, only if chosen wisely. Risks need to be taken for better earnings, but it is wise to choose the most appropriate methods for getting the higher ROI. Penny stocks are volatile and unpredictable. It doesn’t mean that they should not be purchased. There are 90% buyers who lose their money with these stocks and the reason is their poor selection of the companies in making investment. Best penny stocks to buy now are the ones having association with the right companies. You have to understand that before you think about penny stocks, it is possible to know about the most appropriate stocks to buy and invest your hard earned money at the best place. It is feasible to know about penny stocks online and the best way is to find out more about these investments before making any small investment. Everything has a chance to go zero and so is the case with your wrong selection with penny stocks. On the other hand, your investments can go double or triple by investing in right stocks. Your decision about the selection of penny stocks is quite essential in bringing the best results in terms of investments. The stocks priced under $1 have the probability of getting to zero level very soon. These stocks are unpredictable and less certain than others. Read more about super cheap stocks at http://www.uncopy.net/super-cheap-stocks/. The best penny stocks belong to the small companies having a probability to grow with best business strategies and accumulation of finances from real people. Your penny stock investments should have a fixed budget. By following this way, you will probably get lesser chances for losses and the money management can be done in the most desirable way. There are many websites offering free stock tips and it is very much possible that those sites follow scams. Most of the penny stocks don’t work due to the pump and dump scams associated with them. However, being a smart investor, your job is to find out the best company to make your wise move in investment field. As noted in a prior blog entry this week, we feel oil could be volatile and undervalued. The growing concern over nuclear power is making fossil fuels fashionable again. Throw Libya and Bahrain in the mix and we could see over $100 for come time. Keep in mind that every world crisis brings opportunities to find fast rising penny stocks. It’s unfortunate, but true. 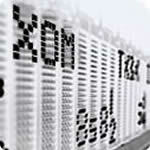 Now how do play rising oil prices without buying stocks like Exxon (XOM:NYSE) or Shlumberger (SLB:NYSE) ? Most investors try to keep it simple and usually stick with true oil names. Others look for more exotic ways. Namely, alternative energy stocks. Even the more established names in this sector like First Solar (FSLR:NASDAQ) are extremely volatile and move in a fashion similar to a hot penny stock. Alternative energy stocks usually moves higher when oil spikes or trends higher.The current environment and news flow makes it a little easier to put together a stock list with potential rising stocks. As usual try to include both large caps and penny stocks. I will now mention a few stocks for you to research. The first is Kandi Technologies (KNDI:NASDAQ). They develop electric cars and could trade in sympathy with Tesla Motors (TSLA:NASDAQ) as well. Kandi Technologies is based in China. Kandi has been a darling of daytraders who provide excellent liquidity. metatrader 4 penny stocks archive.org/web/20131023212949im_/http://www.pennystockexplosion.com/wordpress/wp-content/uploads/2011/03/sunvalley-solar.jpg” alt=”sunvalley solar Alternative Energy Penny Stocks”>The next name to add to your list of stocks is Sunvalley Solar (SSOL:OTC.PK). Sunvalley manufactures solar equipment and is frequently issuing PR’s. This low price penny stock could potentially draw some interest with higher oil prices from super aggressive investors looking for a rising stock. The final name to watch is HyperSolar Inc. (HYSR:OTC.OB). HyperSolar is another potentially hot penny stock. They research and develop a solar concentrator technology that enhances the power output of solar cells. The stock is currently in a trading range, but could test news highs if the group gets strong. Remember, there are traders who constantly look for sympathy plays with penny stocks if the industry’s leader trades well. There are various opinions on the fate and performance of Bank of America (BAC:NYSE), traders are lured to the stock, but many don’t realize that BAC Warrantsare also attached to the common shares. At this point, PSE is not making a market call on BAC. We are merely pointing out that there are two other ways to play the stock. An investment in BAC warrants would require a smaller cash outlay, and increased leverage. However, the downside risk is a lack of liquidity and zero equity in the stock. On the sentiment side, BAC CEO, Brian Moynihan is trying to work through Ken Lewis’ botched Countrywide Financial acquisition, he’s also sold half of BAC’s position in China Construction Bank, and while he facilitated a deal with Warren Buffett to regain investor confidence, skeptics still remain in the stock. Shares of BAC still currently remain down roughly 15% for the month of August. Now at this point you should drop any bias that you have for or against BAC, and just take a peek at these BAC warrants. Only because if the common shares remain newsy and extremely liquid, BAC Warrants will remain a quality trading vehicle for aggressive NYSE buyers and penny stock players a like. BAC-WTA have a strike price of $13.30 and expire on 1/16/2019. The BAC warrants are even more speculative than the A series, and might be more suited to the aggressive penny stock investor type. These warrants have a strike price of $30.79 and expire on 0/28/2018. Regardless of your bias, add these two series of BAC Warrants to your watchlist. Legendary investor Shelby Davis made a good chunk of his fortune buying undervalued insurance stocks on margin, so it made me wonder if he would had dipped his toe in the waters of AIG Warrants (AIG-WT)at these levels. Davis looked for insurance companies with low PE’s and discounted book values, years ago, he also once maintained a large position in AIG stock. So what would Davis think of AIG now ? Shares of AIG are certainly trading at a discount to book value. The stock closed on Thursday at $24.79 and it has a book value of $47.32. AIG also has a PE of about 8. Now some skeptics may feel that an 8 multiple isn’t a bargain for such a controversial name that still has a significant U. penny stocks investopedia S. Government stake hanging over the share price. On the other hand, bulls might say that between the periods of 9/30/2006 and 12/31/2007, AIG did trade at multiples of 15x and 24x earnings at one point or another. By no means are we saying to wake up Friday morning and purchase shares in AIG or AIG Warrants, but based on it’s current valuation, you can see why some are bullish on the name. AIG Warrants have a strike price of $45 and expire on 1/19/2021 and closed Thursday’s trading at $7.49. Just remember, that an additional secondary offering to repay the U.S. Treasury could attract shorts and continue to weigh on the stock. You also have to view investments in any warrant as if it were a LEAP option because of the absence of shareholder equity. So at this point, just add AIG Warrants to your watchlist. 1. VIZS is a minority owned business. Fortune 1000 companies MUST spend money with diverse businesses. VIZS has a great angle here. So much money is being spent that VIZS would only need to capture minuet fractions of these budgets to generate huge revenue. in this massive $8.5 billion dollar industry. 3. VIZS just started to trade. It is a virtually unknown company right now. 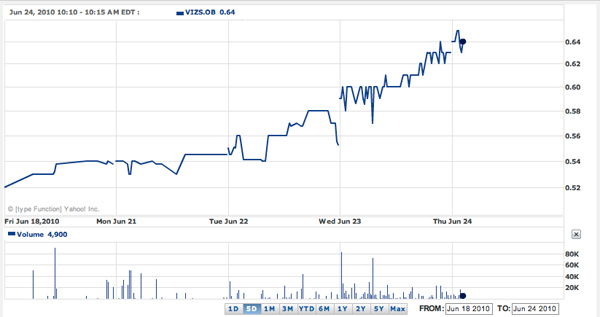 VIZS was up 14% yesterday on news of just a $2 million revenue acquisition. If the company has any other news that they are waiting on releasing we could see a buying frenzy. penny stocks 2017 to watch Investors are always looking for a ground floor opportunity. 4. BUZZ: If people aren’t talking, they aren’t buying. The internet is humming with chatter about VIZS. Everyone is talking. Since the company just started trading, investors could be looking to see where the price settles and gets comfortable. If VIZS closes in the green again today lookout. The eyes that will be on VIZS could cause an EXPLOSION!! Everything is looking good for VIZS on the service. Only time will tell. All I know is that I love everything I see so far. Even if you didn’t participate in VIZS, keep your eye on it. This piece will probably be the first of many that you will see from us regarding the impact of Bin Laden’s death on the global markets. Markets rallied on the news of successful military maneuver, and expectedly, oil traded lower. Is this too simple ? Probably. 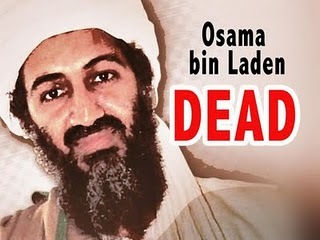 Does anyone really think that Al-Qaeda is simply going to close up shop because of Bin Laden’s death ? That just seems naive to me. Now don’t get me wrong, the Obama administration deserves a ton of credit for executing what seemed like a flawless plan, while taking a major amount of political risk. However, if you read between the lines, airlines are increasing random passenger checks, and the U.S. State Department has issued a travel alert. In other words it’s just not that simple for stock traders to simply go short oil related stocks and long most other sectors. 5 penny stock energy plays nasdaq Do you really think a stock like Exxon Mobil (XOM:NYSE) is going to sell of sharply because of this event ? Do you think that penny stock traders will lose interest in oil related micro caps because of Al Qaeda losing their figurehead ? For instance, what happens if we see even more unrest in the Middle East because of Bin Laden’s death, and North Africa due to this event ? How would that impact oil prices and stocks ? Now it’s obviously a possibility that some selling in oil related investments may take place in the near term. But will that selling just be creating buying opportunities? Right now, there are just far too many moving parts to this announcement to take any type perceived market direction for granted. The situation is just too fluid at this point. This is why we will be providing color on the story and how it impacts the market on a fairly frequent basis this week. We will also provide some specific stocks to watch too, but only after the market action plays out a little bit. At this point, the best approach might just be to sit tight, and start forming a list of stocks that will react to this event. Stay tuned, we will be back with some specific names soon. Please subscribe for more market information,IPO markets, stocks to watch lists and the best penny stocks to buy. This market seems to never run out of surprises. It doesn’t matter how good your list of the best penny stocks is. This market forgets how many rising stocks you had last week, and it doesn’t care if you hit a home run yesterday on a pharmaceutical penny stockplay. My sense tells me that the market is neglecting to focus on the continued unrest in the Middle East and potentially could be focusing a little too much on Japan’s need for oil imports. This might be why oil closed under $100 per barrel for the first time since February. Despite the fact that some financial pundits are predicting $5 per gallon gas in the near future. Relatively conservative, liquid, safe haven names like Exxon Mobil (NYSE:XOM) and Suncor Energy (NYSE:SU) have been hammered in the last few trading sessions. Does the decline continue ? Or is it time to look for rising stocks in the oil space ? Now might be as good a time as any to form a list of stocks in the oil sector. This list could include large caps and some of the best penny stocks. penny stocks volatile It’s probably pretty safe to say that once Japan becomes a smaller percentage of the news cycle, the Middle East turmoil will come back into play. Today, the Saudi’s and the UAE sent tropps into Bahrain. However, many casual observers may have missed this important event due to the sad and unfortunate issue of the Japanese earthquake and nuclear issues.There is no safe or sure way to pick a bottom in a particular sector and it would probably only surprise a select few if oil traded lower and consequently provided a negative impact on your best list of penny stocks. However, even successful hedge funds and investors like Warren Buffet scale into positions. So take a look at the space and if you decide to act try to build a basket of stocks. This approach increases you odds of identifyingthe best penny stocks to buy. Please remember that large caps like Exxon are different than speculative shale based penny stocks. So adjust your portfolio accordingly if you think oil is too cheap. The term “Bin Laden Bounce” was used today despite U.S. markets being in a solid uptrend for the past few weeks. Our market has rallied sharply since the brief sell off derived from the earthquake in Japan. So I guess “Bin Laden Rally” would have been a better term to use instead of “Bin Laden Bounce“. However, today, we saw neither a bounce or a rally, despite S&P Futures being up this AM and rallies in foreign markets. I mentioned in an earlier entry that uncertainty and turmoil in the Middle East and North Africa could be influenced by Bin Laden’s death. Although President Obama and the Navy Seals seemed to perform flawlessly on this mission, which provided a feel good atmosphere to Americans on Monday, terrorism on U.S. soil still remains a harsh reality. Many Americans have moved their concerns from national security to “kitchen table issues” like jobs, the economy and how increasing the debt ceiling could impact their pocketbook. penny stocks 1000 pennystockexplosion.com/wordpress/wp-content/uploads/2011/05/anti-terrorism-stocks.png” alt=”anti terrorism stocks Bin Laden Bounce”>However, after Bin Laden’s death, there is a chance that Al Qaeda cells and other fringe terrorist groups could seek revenge in the near future, and if not now, at some point down the road. God forbid it happens, but it could impact not only our way of life, but our personal wealth as well. In the past, during the Bush Era, terror alerts were issued frequently and these upgrades of the threat level often moved a small group of stocks. And the actual terror attacks, that unfortunately happened abroad, have also impacted this list of stocks in the past. So right now, just as investors buy gold and silver stocks, right now might be time to protect your portfoilio with some anti terror stocks. Hopefully, these stocks will never rally based on a terror attack, and this entry will be a moot point, but that’s probably not very realistic. Here are some names and symbols listed below to add to your list of stocks . Once again, let’s hope the basis for this trade never happens. Subscribe for more market news, IPO updates and the best penny stocks to buy. Last week we saw the market rise on very light volume. This is obviously a sign that the market can go in either direction. Bulls feel that buying could come in as a result of end of the quarter window dressing. There also has been some encouraging economic news, but bears feel there is too much global uncertainty to get aggressive on the long side. As usual this week, global events will weigh in on the market direction. Aside from the obvious, look at the close of Asian markets for a better read on how we will fare on Monday. On the positive side, both Apple (AAPL:NASDAQ) and IBM (IBM:NYSE) looked strong and could bolster technology stocks next week. The strength of the ServiceSource IPO (SREV:NASDAQ) also showed there is still some strength left in the new issue market. However, this is the time of year when PM’s sell their losers and buy the “darlings” just so they have the hot names on the books. This may give bottom fishers a reason for pause. Despite the growing uncertainty in the dollar, it advanced Friday due to positive economic reports and the potential of a tightened monetary policy. Despite the good performance from the buck, many currency traders took positions in the Euro versus the dollar. Events in Portugal and Ireland could further influence the action this week. Last week both gold and silver stocks continued their respective uptrend’s. Both metals fared well despite the dollar’s strong performance on Friday. The rally in both of these two precious metals seems to be fueled by speculators at this point. However, Silver has a psyche level of $40 to test and a break of that number could cause massive short covering. Gold is also trying to re-test the 52 week high. that it set on Thursday. See our frequent entries on new issues and secondaries for more color. Cameco Corporation (CCJ:NYSE) The uranium producer is by far the best real time indicator of what is going on in the Japan nuclear crisis. Keep it on you screen as an indicator. Molycorp: (MCP:NYSE) Rare earth’s got hot again last week. MCP is the industry leader and if their is one rare earth stock for PM’s to buy, then this is probably the one. Greenway Design (GDGI.PK) Absolutely ripped last week. Closed near the high last week and may have it’s eyes on the $2 handle. Research In Motion (RIMM:NASDAQ) Crushed last week on earnings could see the reverse effect of window dressing. Many PM’s might want to keep this one off the books until April. Silver Wheaton (SLW:NYSE) Just a simple way to play silver without buying the commodity or futures. Netflix (NFLX:NASDAQ) The $300 target by Goldman Sachs smashed the shorts again. Some may re-short here or higher , but how much punishment can somebody take. A break of 232 could start another squeeze with buy stops being taken out. Check back often for more market reports, penny stock alerts and updates on IPO’s and secondary offerings. Lithium Corp. (LTUM.OB) Forget the fundamentals, charts, or the the fact that they announced some positive brine sampling news this morning. The stock will probably trade higher or lower based on amount of buyers and followers of the Lithium Exploration Group (LEXG:OB) that come into the name. LTUM is a pure sympathy play and should be added to your penny stock list. I want to apologize for not mentioning it earlier in earlier pieces. We are always mentioning sympathy plays and I simply missed this name. Despite putting LEXG on the watchlist in it’s early stages of the move. IShares Silver Trust (SLV:NYSE) This Silver ETF is a common name on our stocks to watch list. Probably too common, but it ripped again today, and simple needs to be watched. At this point the gold to silver ratio, fundamentals, and industrial uses of silver are out the window. The precious metal is probably going where traders want to take it. Also, since I mentioned sympathy plays, look for a silver mining penny stock to add to your list. Netsuite (N:NYSE) Don’t now much about this name, but I do know that it’s are up in the aftermarket on earnings and is the highest trending stock on Yahoo Market Pulse. I don’t wan’t to give you direction, but there should be some action in the AM. Encounter Technologies (ENTI.PK) As you guys already know, I like to highlight the most active IHUB message board. But today, I am going with the second most active because you already know about LEXG and it’s first. ENTI is just another sub penny stock that’s become watched. Today the sellers were stronger, and ENTI was down a little over 11.11 %. Is it a bounce candidate for a sub penny stock scalper ? We will see. Las Vegas Sands (LVS:NYSE) I just want to mention this casino stock because the group has cooled off a little. On a chart LVS is looking like it’s trying to find it’s sea legs. It still has the lower highs above as resistance. I am not sure if this is dead money for now or breaks sharply in either direction, but it merits attention. Whirlpool (WHR:NYSE) Cramer plugged the company on the Lightening Round, so it probably sees a little premarket action. It’s funny though, there are some who buy Cramer picks and there are others who short or fade his buy recs. Anyway, WHR was down today and could be a bounce candidate on Friday. Clearwire (CLWR:NASDAQ) Down again after doing a secondary offering on Wednesday. Great story, and everyone talks about spectrum, but CLWR seems to be a chronic disappointment to longs. Many thought this would participate once Sprint broke out over $5, CLWR is just a hard story to grasp. Sprint (S:NYSE) Since I mentioned CLWR, I might as well throw in Sprint. It traded nicely today and was up over 6% , but remember, there is a gap to fill from yesterday, so don’t be surprised if it briefly retraces. Also, remember that Sprint is in a super competitive space. Radient Pharmaceuticals (RPC:AMEX) This name was also on our list of stocks to watch earlier in the week. Today, RPC was the top gainer on the AMEX and was up over 15%. As I said in a prior piece, you have to keep an eye on this one and be ready to jump in once you see volume. We hit a home run on this one a while back and alerted our subscribers, but right now this is probably just a trading vehicle. So don’t be surprised if it retraces. IShares Msci Japan Fund (EWJ:NYSE) I’ll close with this one and be super brief and to the point. Doesn’t it just feel like the Japan economy has bottomed ? Check back for market reports, IPO updates, and penny stock alerts. Just be sure to subscribe or you might miss the next best penny stock to buy. Here are some stocks to watch for Friday. They range from penny stocks to larger caps. Add these names to your list of stocks. SodaStream (SODA:NASDAQ) The company did a secondary offering yesterday yesterday that was well received. The deal was priced at $43.50, and even with the dilution this name could still see new highs in an up market. Jammin Java (JAMN.OB) We issued an alert to subscribers yesterday on this name because of the pullback on Wednesday, and it rallied sharply. Hopefully you added it to your list of penny stocks. The performance of JAMN.OB yesterday was a textbook example of how to trade penny stocks. Southwest Airlines (LUV:NYSE) Shares have been slowly dripping lower since the FAA inspections. However, lower oil prices could cause shorts to cash in on small gains. Tytan Holdings (TYTN.PK) Tytan has the most active message board on IHUB at the time of this entry. This often leads to penny stock action. Not sure if it’s higher or lower though. Universal Detection (UNDT.OB) Most active Bulletin Board penny stock yesterday and was up over 22%. Do traders take profits today or add more looking for weekend news. Great action in the stock yesterday and is worthy to add to your list of penny stocks. General Motors (GM:NYSE) People have seemed to fall out of love with auto stocks quickly. But, are they looking oversold. It’s probably best to sit on the sidelines with the entire group. American Superconductor (AMSC:NASDAQ) This is another trading name that should be watched. The recent drop has caused a lot of interest, on both the long and short side. Options might be the best way to approach this one. Silever Wheaton (SLW:NYSE) Shares have been a little week recently. Is this just a pullback or have the shorts finally gaining some traction ? Stay tuned for more penny stock alerts, market reports and IPO updates. Also, please remember to form your list of stocks. Many feel that this market can go either way from here and preparation may help you avoid some costly mistakes.